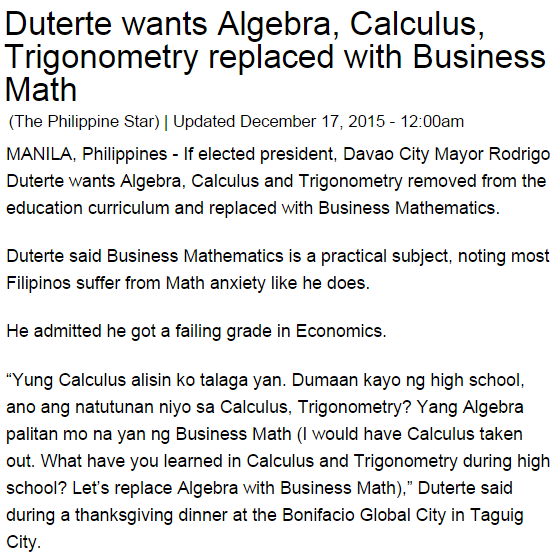 Recently, a candidate for president in the Philippines, Rodrigo Duterte, made the statement that Algebra be removed from the basic education curriculum. 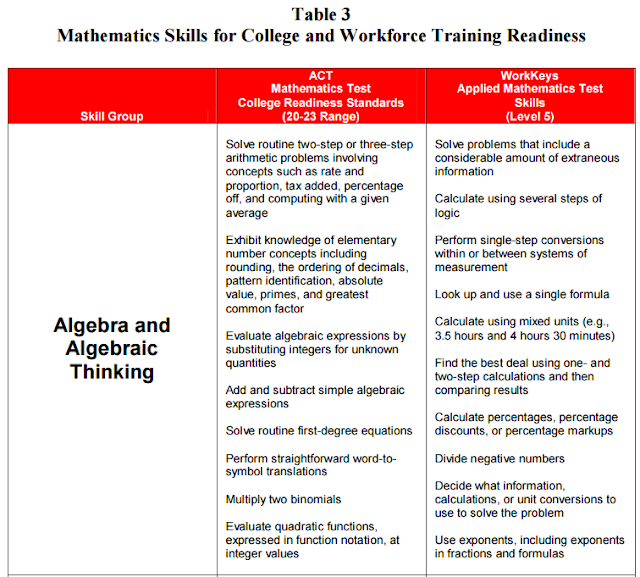 Ready for College and Ready for Work:Same or Different? 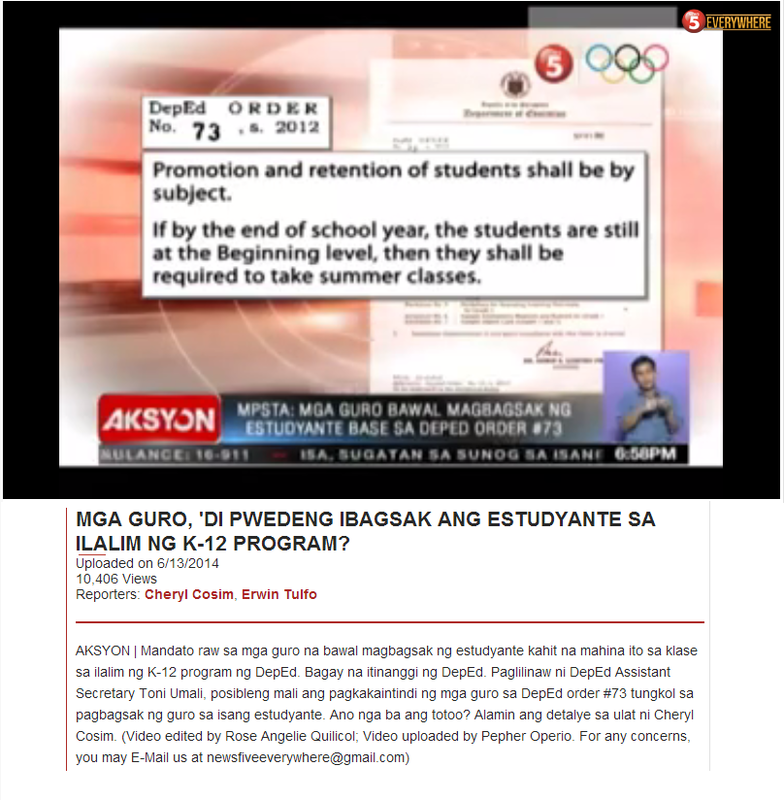 Joking or not, one should recall that DepEd's K to 12 curriculum was part of the presidential platform offered by the current administration. 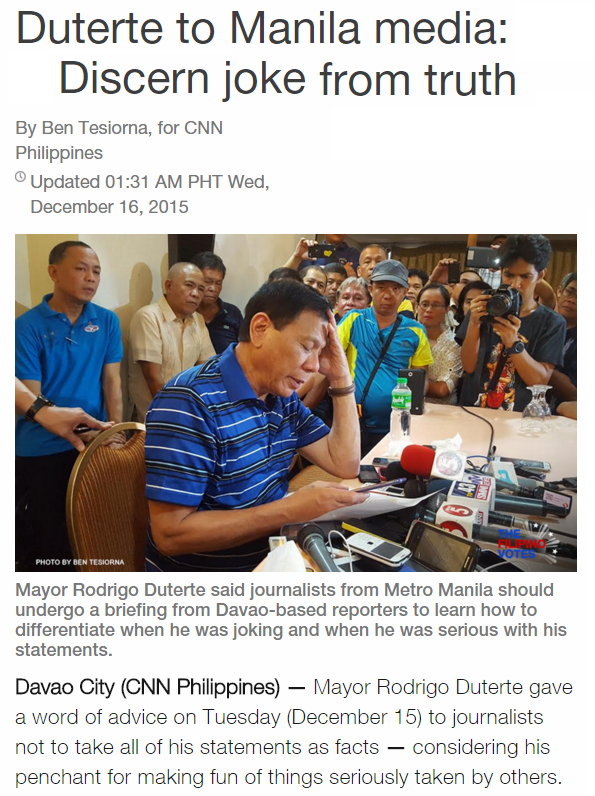 It is disconcerting when politicians shoot from the hip on issues that require expertise and research. Of course, politicians do this because people expect them to solve every single problem. 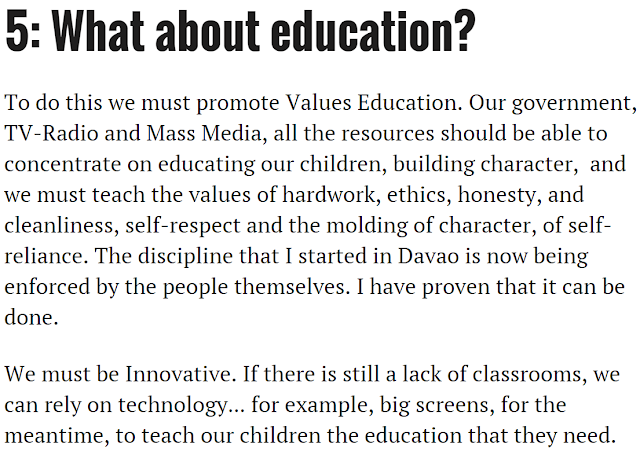 Education is not one of the challenges that one president can face. 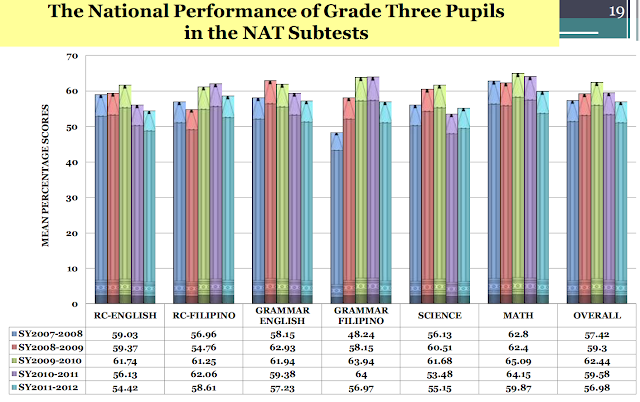 For more discussion, see “K+12 most likely to fail” (Inquirer, 17 Feb 2012) and “A critique of some commentaries on the Philippine K-12 program”.